An 11,000-year-old prophecy plunges airline pilot Samantha Starr into an international maelstrom. While flying to exotic locales during a round-the-world charter flight, Sam stumbles upon the enigmatic key to Poseidon’s Sword, an ancient weapon of unimaginable power. Her discovery triggers a race among secret cults, arms dealers, and world leaders intent on possessing the doomsday weapon. Old enemies and mysterious allies enter the fray, believing Sam is vital to locating and activating Poseidon’s Sword. She becomes an unwilling pawn thrust into a treacherous game trapping her crew, passengers, and family in the rivals’ deadly power plays. Sam struggles to save them and thwart her evil adversaries before time runs out in this fast-paced action thriller. 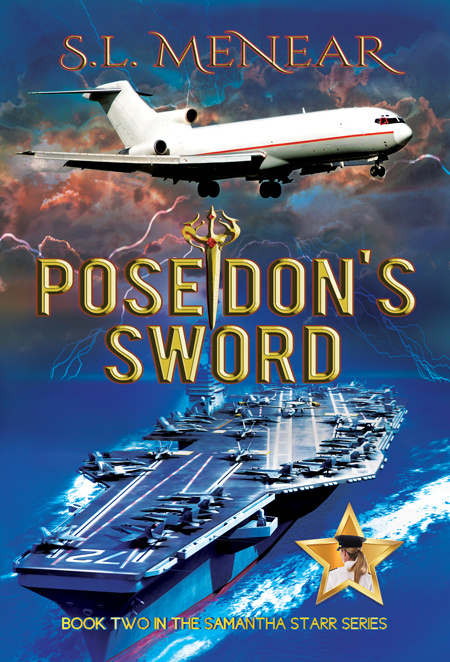 Poseidon’s Sword is award-winning author S.L. Menear’s second book in the Samantha Starr Series.